People react differently when they are fired from their jobs. Some people thank their employers for the opportunity. Other former employees make petty attempts at sabotaging the company, such as vandalizing company property or posting bad reviews online. John Schnatter’s reaction to getting booted from his company is to attempt a hostile takeover. To be fair, Schnatter founded Papa John’s Pizza in 1984. The company went public in 1993. The corporation is named after Schnatter and the company logo is his figure. Schnatter’s company grew from a broom closet in his father’s tavern to an international franchise with 4,700 establishments worldwide. Needless to say, Schnatter is a little more important than your average employee. Schnatter has a habit of making controversial statements. In November 2017, Schnatter claimed that lower NFL viewer ratings had led to decreased sales for Papa Johns, a statement that drew praise from white supremacist groups. Schnatter stepped down as CEO on January 1st, 2018, but stayed on as chairman of the board of directors. Schnatter disavowed the support of the white supremacists, but a conference in May the following year drew led to greater drama. Schnatter also attempted to say that his comments were an improvement from previous times when African Americans were dragged from trucks until they died. Many of the attendees were offended by Schnatter’s comments and pulled their contracts with Papa Johns. Schnatter confirmed the statements via email to the media. In July, Schnatter resigned as chairman of the board. The remaining board members voted to remove Schnatter’s image from all company marketing. That didn’t sit well with Schnatter, who filed a lawsuit against the company he founded for access to company books and records. 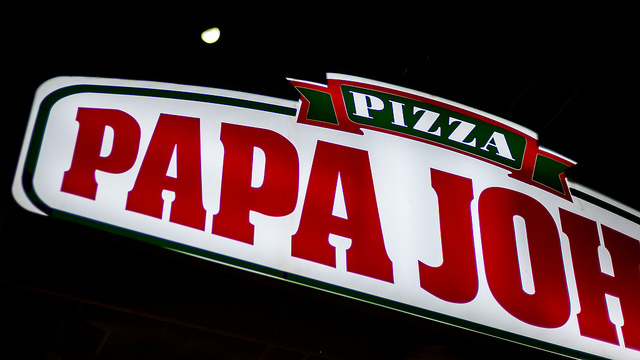 In response, Papa John’s board implemented a “poison pill” to prevent Schnatter from attempting a hostile takeover. The “pill” strategy would allow shareholders to buy shares at a discount if another shareholder obtained 20% of company shares. Schnatter’s lawsuit is trying to find evidence that the company used the conference call to scapegoat Schnatter to cover up the board’s own failures. There are two motives behind this accusation: that Schnatter wasn’t treated fairly when he was forced out of his chairmanship and that Schnatter’s conduct in the conference call wasn’t the actual reason he was forced out. The attorneys didn’t explicitly state it, but Schnatter is arguing that the conference call was just a pretext for other reasons to force him out of his own company. Pretext is the legal theory that the reason for a person’s termination is not the actual reason. The fake reason is given in order to cover up the real and most likely illegal reason. For instance, a company could terminate an employee for being late, when in fact the real motive was to stop the employee from complaining about sexual harassment at the office. Ironically, the pretext argument is most commonly used in employment discrimination law. Typically, an employment will give a legal reason for the employee’s termination and the employee could respond by claiming that the employer’s real rationale was illegal discrimination. There are a few glaring flaws in Schnatter’s pretext argument. First, Schnatter himself admitted that he made those statements. The reason for removing Schnatter from his chairmanship is real and not fictitious. Second, there are real damages stemming from the conference call. A business partner rescinded a contract because of statements that Schnatter made during that call. The conference call was also the subject of negative media coverage for a few days. The other board members did not have anything to do with those events and could have reasonably believed that Schnatter’s presence would have harmed the company more. The other inference from Schnatter’s lawsuit is that he was treated unfairly when he was tossed out of his chairmanship. According to Schnatter, his words were taken the wrong way. He was using the N-word as part of a quote and his statement about African Americans being lynched was a reference about how race relations were better today than when he was growing up. It does seem harsh to condemn a man for being racist if he was only trying to apologize. The biggest legal obstacle that Schnatter faces is the business judgment rule. Courts will dismiss lawsuits brought by shareholders against the company if the Board of Directors acted in good faith, with a rational basis and, if there was no fraudulent or wrongful conduct. Firing Schnatter from the chairmanship might have been a bad business decision, but courts can only judge matters of law, not business. The problem is that Schnatter himself is missing some context to his own situation. Schnatter might not have intended his comments to be racist, but his listeners were upset enough that they canceled a potential business contract with Papa John’s pizza. On that basis alone, the Board could decide that Schnatter was causing more problems than he was worth. Was Roseanne Barr Wrongfully Terminated For a Racist Tweet?